It was in June, earlier this year, that Hyderabad-based mobile handset manufacturer, Celkon Mobiles created ripples in the smartphone market with the launch of Campus A35K, the cheapest Andriod KitKat smartphone. Six months later, it’s again hogging the headlines, for the right reasons, with yet another trump card. 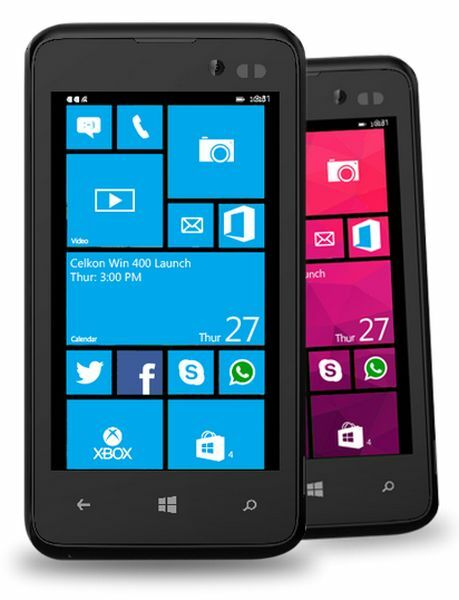 Celkon, on Monday, launched one of the cheapest Windows phone available with Win 400 for Rs 4,979. It’s a first for Celkon, who currently enjoys a 4 per cent share in the smartphones market, and aims to become the number one supplier of the low-end smart phones. In a telephonic interview with Rediff.com Murali Retineni, Executive Director-Celkon Mobiles said that more sets are in the pipeline with the next one to out as early as January next year. “We believe in bringing in value to our customers, without compromising on technology. The Win 400 provides a unique Windows experience with seamless multitasking and value-added features such as a front-facing camera, 3G support and more. We are confident that our partnership with Microsoft will prove to be a mutually beneficial association and immensely benefit our consumers,” said Murali. Celkon is the third Indian original equipment manufacturer (OEM) to launch a budget handset based on Microsoft’s operating system. 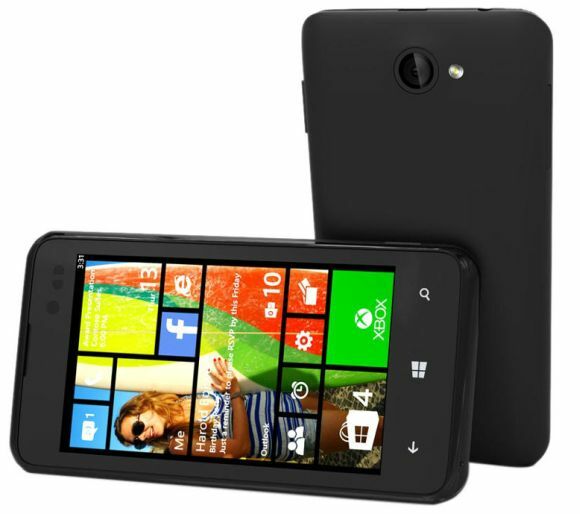 Other players such as Karbonn, Micromax, Lava and Xolo have had launched their Windows based smartphones recently. Image: (From L to R) Y Guru, Chairman and Managing Director, Celkon Mobiles, Murali Retineni, Executive Director, Rajiv Ahlawat, Director, Mobility, Microsoft India, and Rohit Kapur, Director, Qualcomm. Micromax launched two Windows handsets - Win W092 and Win W121 priced at Rs 6,500 and Rs 9,500 respectively earlier this year. Lava debuted in the Windows phone segment with Xolo Win Q900s, priced at Rs 9,999 in June. But ask Retineni and he is unfazed by the competitors. When quizzed about the factors that were kept in mind while deciding on the price tag, Retineni said, “I’ve been working with Microsoft and Qualcomm for some time and I noticed that they are already few Indian brands that have already launched but at a premium price points. “And I also noticed that basically for users there some basic features like to have a better camera, a handy phone all these hardware things are also something’s other than price that were taken into consideration. “For example our handset weighs just 120 grams. So when compared to other brands, I have not seen any other handset that is less than 150 grams in the industry. “Besides that the slimness would be 10.5mm, whereas the competitor’s handset starts from about 12.5mm. Besides that we have an autofocus with flash. While the competitors either don’t have an autofocus of they don’t have flash. “So apart from the price, these are the factors that I have considered, and I thought with such kind of features we can kill off the negative audience, who used to be under the perception that windows is going be an expensive bid for them,” he added. The dual-sim handset boasts a 4-inch HD (480x800 pixels) IPS display, and is powered by a 1.3GHz quad-core Qualcomm Snapdragon 200 (MSM8212) alongside 512MB of RAM. It sports a 5-megapixel rear camera with LED flash, while it also houses a 1.3-megapixel front-facing camera. The smartphone includes 4GB of inbuilt storage which is further expandable via microSD card (up to 32GB). It packs a 1500mAh battery which is rated to deliver up to 5 hours of talk time and up to 200 hours of standby time. The Celkon Win 400 comes with GPRS/ EDGE, 3G, Wi-Fi, Bluetooth, GPS and Micro-USB connectivity options. Celkon have already laid in plans for the future and are looking to cash-in on the success. "Our plan is to bring more smartphones on the Windows platform. We are planning to launch a 5-inch Windows phone, sometime post 15th Jan,” Retineni said.